Two of Roald Dahl’s Revolting Rhymes performed by multi award-winning Bradfordians Dramatic Society. 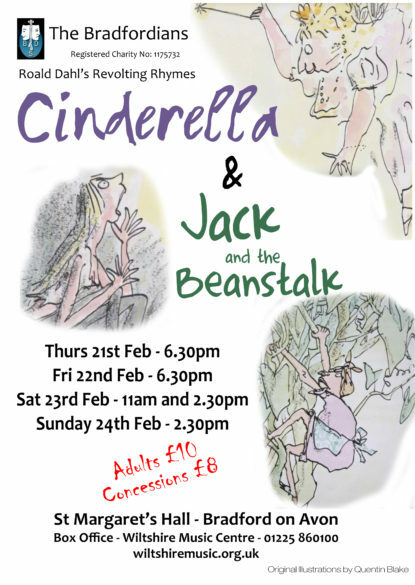 The local theatre group take on Dahl's retelling of the classic fairytales Cinderella and Jack and the Beanstalk, performed on stage at St Margaret's Hall in Bradford on Avon. Following from their success with The Twits last year, the group will bring Dahl's honest, often vicious wit and humour to the stage in this production.